BOSTON (June 6, 2016) — Herlitz Inventory Management, leading innovator in scientific demand forecasting, replenishment and optimization, is proud to partner with Chex Finer Foods based in Mansfield, Mass. to deliver a rich, market focused solution that optimizes service and profitability. Chex Finer Foods is the leading specialty and natural foods distributor in New England, providing customized sales programs, exceptional service, and high-quality products. “HIMPACT’s daily forecasting, analytics, and store level promotion filtering are game changers as far as we are concerned. We will be better able to support our customer promotions and product rollouts which are essential to our mutual success,” added Kurland. Chex Finer Foods is a regional, third generation, family owned specialty and natural foods distributor. Chex partners and collaborates with its customers and vendors to make a significant contribution to their growth and success. 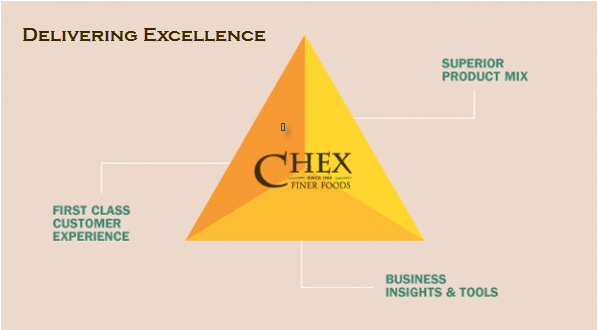 Founded in 1965, Chex “Delivers Excellence” through exceptional customer service, high-quality products, and customized sales programs. 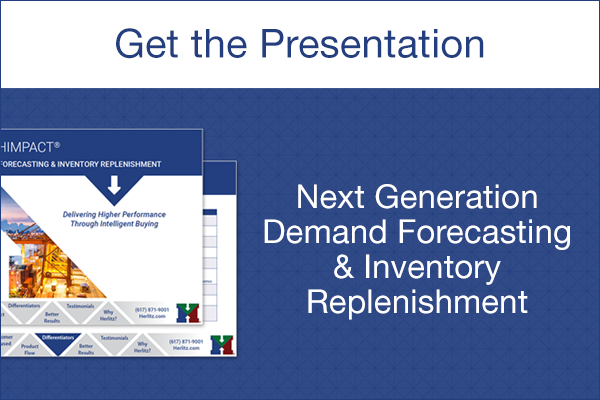 Founded in 2009, Herlitz Inventory Management (Herlitz IM) provides tightly integrated Demand Forecasting, Order Optimization, Promotion and Forward Buying. Herlitz innovative designs are an industry standard; used by thousands of companies to optimize inventory. With end-to-end visibility and new insights, HIMPACT is uniquely suited to today¹s marketplace, delivering optimized buying quantities, highly satisfied customers and tighter inventory management. To view a pdf facsimile of the wine industry advisor post click: here.